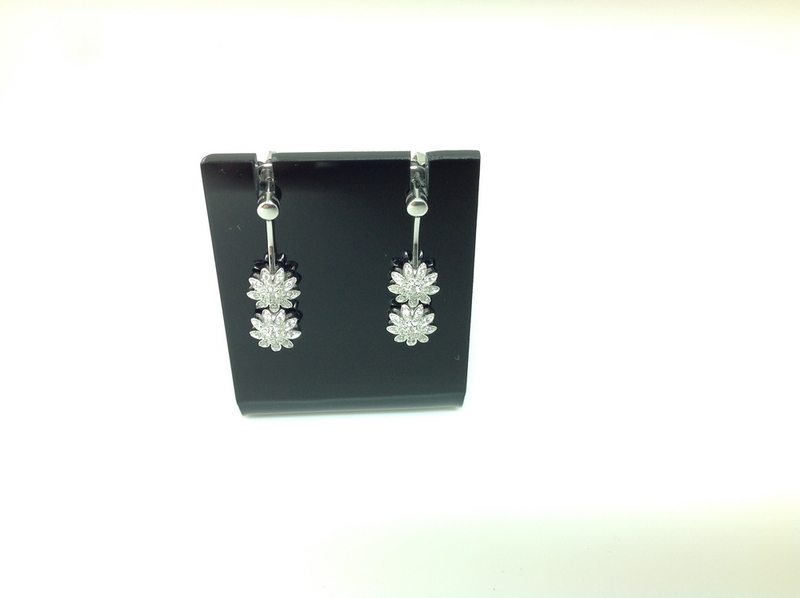 EARRINGS in gold white of 18 carat and diamonds size bright. COMPOSED OF 4 BTES. OF 0.015 KTES. 32 BTES. OF 0.006. A TOTAL OF 0.25 KTES. COLOR DIAMOND H AND PUERZA IF. WITH GUARANTEE CARD. CLOSING pressure, measured in LENGTHS 27 mm. ITS WEIGHT IN GOLD IS 5.40 GRAMS. A jewel forever.